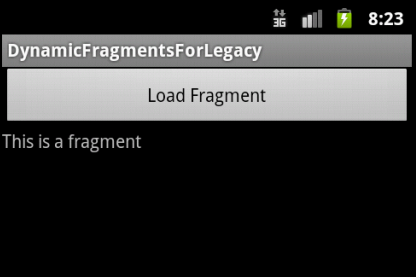 Android begins to support fragments from the version 3.0 onwards. 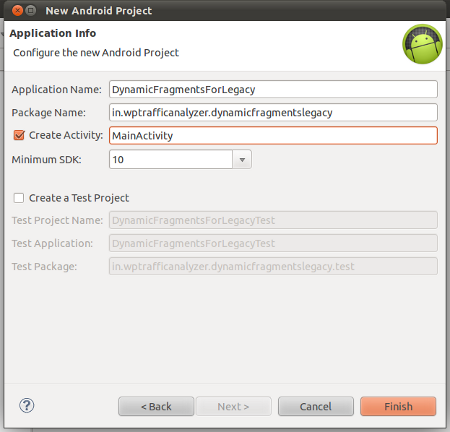 In those versions prior to 3.0, we have to use Android Support Library to create fragments. 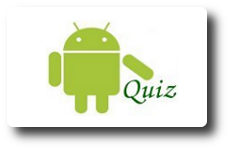 In this article we will create an application which adds a fragment to the main activity at runtime in Android version 2.3 using Android Support Library. 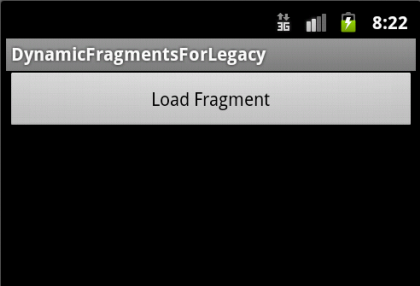 Android supports fragments from the version 3.0 onwards only. 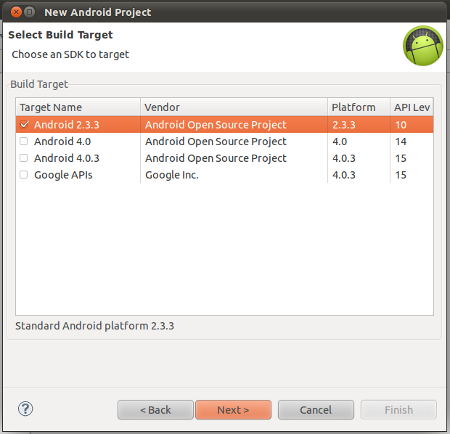 Android provide and external support library to use fragments in the versions prior to 3.0. 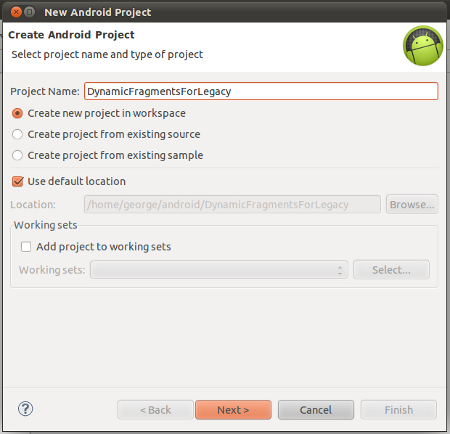 In order to add this library to our project in eclipse, right click “DynamicFragmentsForLegacy”(ProjectExplorer) -> Android Tools -> Add Support Library. On clicking the button “Load Fragment” of the Figure 4, a fragment will be loaded at in the same activity as shown in the Figure 5.